Hello. I have a book idea and would like to work with a dreamer/"traveler" who can also follow the scientific process. I picture a female but this will work for anybody. A female or Gemini male who can dream in numbers would be a bonus. 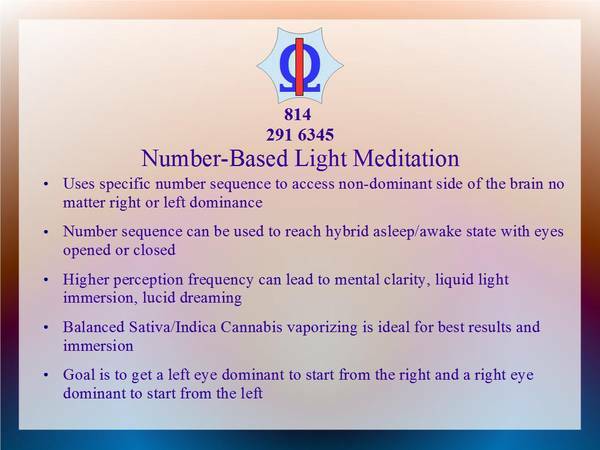 We'll be writing the definitive book on dreams/meditation using numbers. We'll be exploring the relationship between you and your other self. Dream activity will change and we'll "turn the lights on". 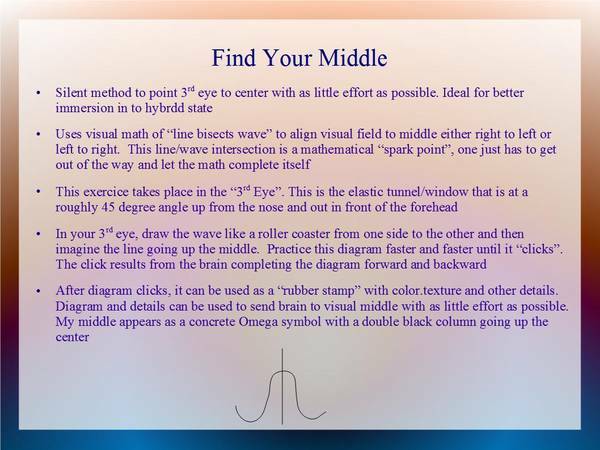 I'll show you how to use numbers to reach a hybrid state between asleep and awake. This method is equal parts spirit and science. It really works and results will be verifiable. A vivid dreamer/talented "traveler" is a must for this project. Must follow instructions and be able to devote 3 hours daily for at least 30 days. We'll be using vaporized Cannabis at home every other day for the duration of your journey. I'll go for a 50/50 split and we can negotiate expenses. Please see the attached jpgs for a brief overview and the first steps to start this journey. I live in the Denver area. We can certainly collaborate remotely. I am available at any time to discuss this project.